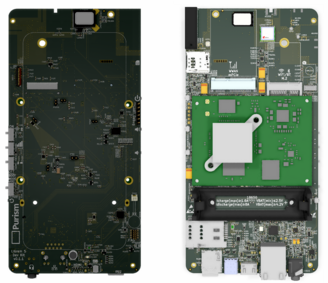 Purism's upcoming Linux phone, the Librem 5, has run into some development delays that have pushed its release back 3 months to April 2019. Due to a flaw in the phone's CPU, the battery drains in less than an hour. Purism is working with the distributor to fix the flaw. In the meantime, dev kits are still scheduled to ship out in October. Purism is known for their GNU/Linux laptops and an emphasis on privacy, security, and total user control. 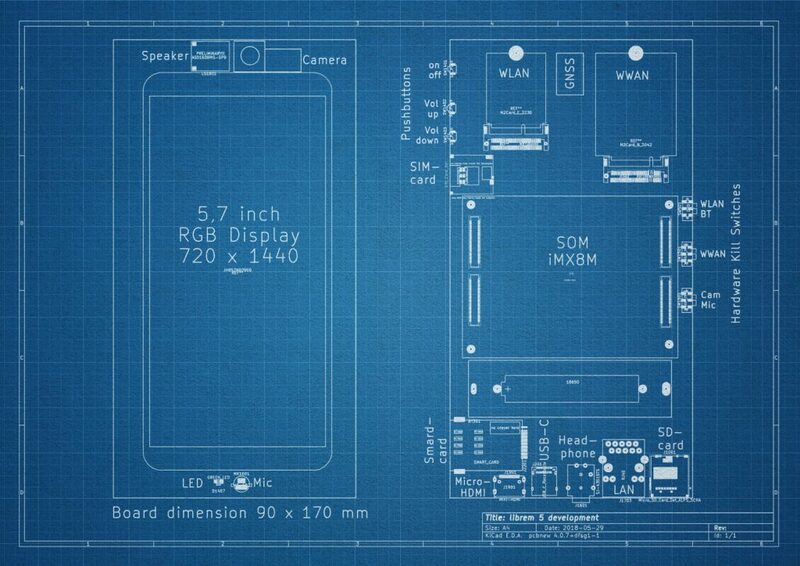 Last year, the company made headlines when it launched a crowdfunding campaign for its upcoming Librem 5 smartphone, a unique handheld that promises to take Purism’s PureOS and put it in your pocket. However, all is not well in the world of GNU/Linux smartphones. Purism announced today that the phone will be delayed until April of 2019. Despite this setback, Purism is still planning on shipping dev kits of the Librem 5 this October since those devices are “meant to be plugged in.” The dev kits look fairly different from mockups of the phone we’ve seen so far anyway, so it’s unlikely that they could be used as a smartphone anyway. 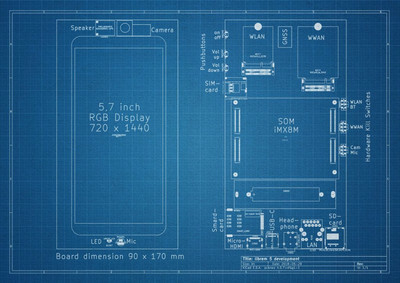 The announcement came with blueprints and 3D renderings of the dev kits, which might give some insight into the final specifications of the phone. The dev kits will use a 5.7-inch 720x1440 RGB display and an SOM i.MX 8M SoC with a Vivante GPU. While the specs list on Purism’s site lists the display at 5 inches, it’s possible it could feature the same 720x1440 resolution as the dev kit, but specs are subject to change until the final release. Nobody has tried to make a non-Android Linux phone since failed Canonical’s failed Ubuntu Touch made its way onto the Meizu Pro 5. That project still lives on via UBPorts, but the list of supported phones is sparse, and most of those devices are far outdated. 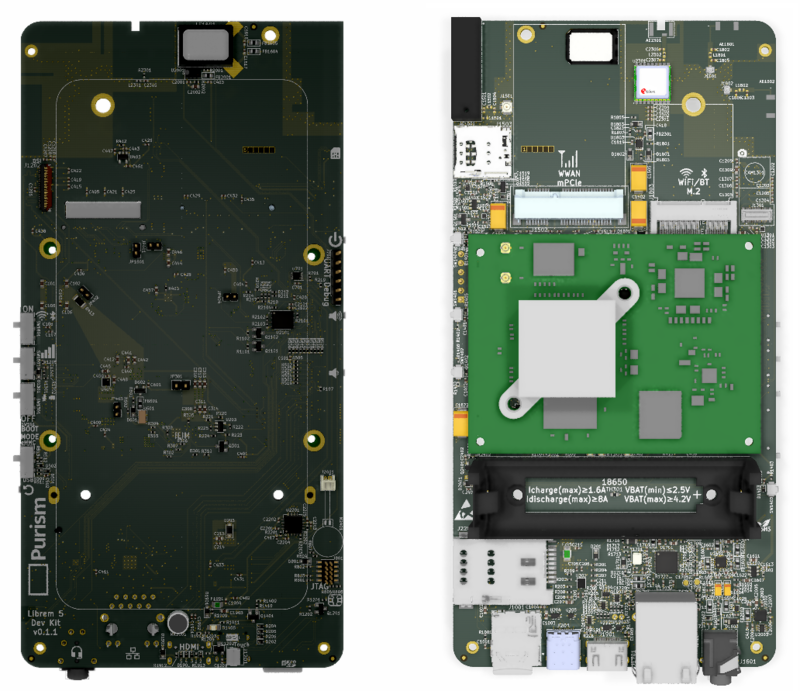 Purism’s Librem 5 is unique in its choice of components. 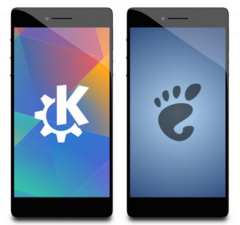 On top of that, the Librem 5 is being designed from the ground up to run PureOS and other Linux distros. Purism has a good track record for shipping devices, but we’ll have to wait until April of next year to see how well they handle the smartphone world.